LA JOLLA—Chronic damage to the liver eventually creates a wound that never heals. This condition, called fibrosis, gradually replaces normal liver cells—which detoxify the food and liquid we consume—with more and more scar tissue until the organ no longer works. Scientists at the Salk Institute have identified a drug that halts this unchecked accumulation of scar tissue in the liver. The small molecule, called JQ1, prevented as well as reversed fibrosis in animals and could help the millions of people worldwide affected by liver fibrosis and cirrhosis, caused by alcoholism and diseases like hepatitis. These results were published in PNAS the week of December 7, 2015. Liver cells in a dish (left) become scar tissue when exposed to carcinogens (center). The Salk team found that the molecule JQ1 blocks scarring in animals by preventing normal liver cells from changing into scar-producing cells (right). When the liver is damaged, small collections of hepatic stellate cells that specialize in storing vitamin A are called upon to tend to the wound. These activated stellate cells shed their vitamin A, travel to the site of injury and create thick, fibrous scar tissue to wall off and repair the damage. However, with prolonged organ stress, healthy liver cells become replaced by scar tissue, eventually leading to organ failure. The search for the critical genome pathway struck gold, uncovering a regulatory protein, called BRD4, that is a master regulator of liver fibrosis. With this new knowledge in hand, the Salk team found JQ1 successfully inhibited BRD4 and halted the transformation of hepatic stellate cells into fiber-producing cells. This is good news, as JQ1 is a prototype of a new class of drugs currently being tested in human clinical trials for various cancers. 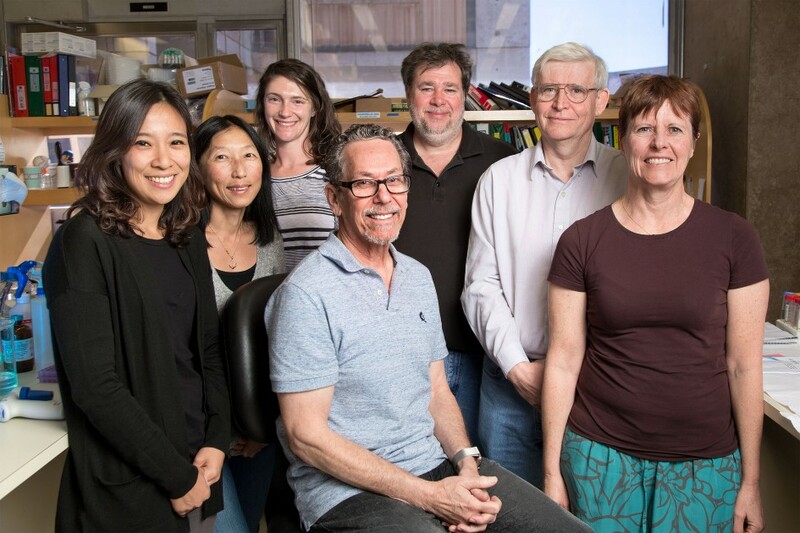 “JQ1 doesn’t just protect against the wound response, but also reverses the fibrotic response in mice,” says Ruth Yu, a Salk staff researcher and one of the authors of the paper. Other authors include Ning Ding, Nasun Hah, Mara Sherman, Chris Benner, Mathias Leblanc and Mingxiao He of the Salk Institute, and Christopher Liddle of the University of Sydney. The work was funded by the NIH, the National Health and Medical Research Council of Australia Project Grants, the Leona M. and Harry B. Helmsley Charitable Trust, the Samuel Waxman Cancer Research Foundation and Ipsen/Biomeasure.